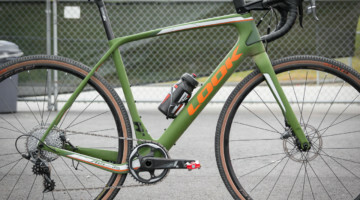 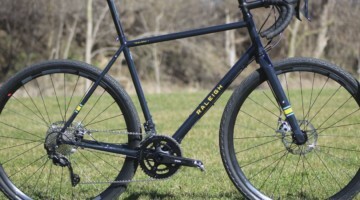 This isn’t the first time we’ve taken a look at Justin Lindine’s Redline Conquest carbon ’cross bike, but it is the first time we’ve taken a look at his National Championship-winning bike, since he just took the 30-34 Masters win at Nationals last month. 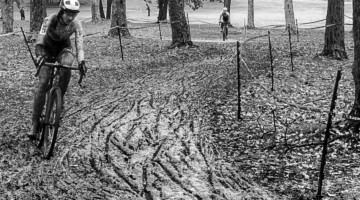 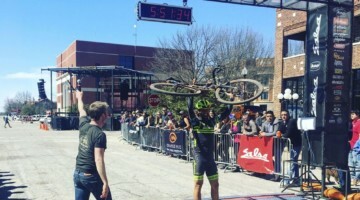 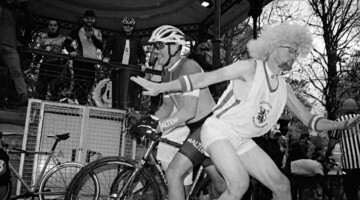 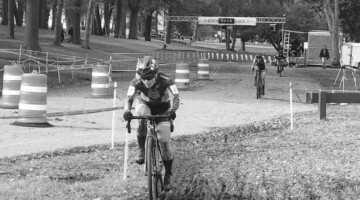 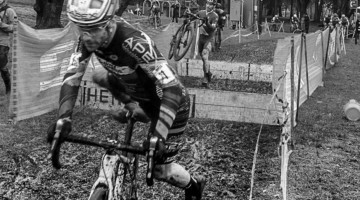 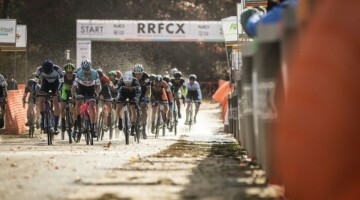 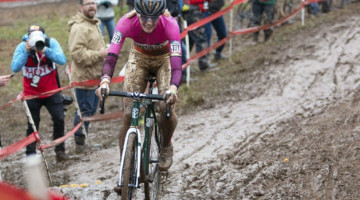 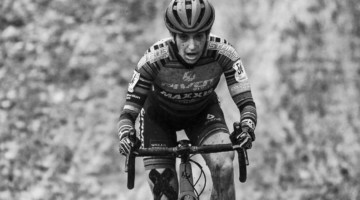 While some may argue that the “Baby Masters” category shouldn’t exist (cyclocross is the only discipline to keep the age group, most of the top 10 in the Elite race were over 30), Lindine doesn’t make up the categories or criteria and backed up that result with an eighth in the Elite Men’s race the next day. 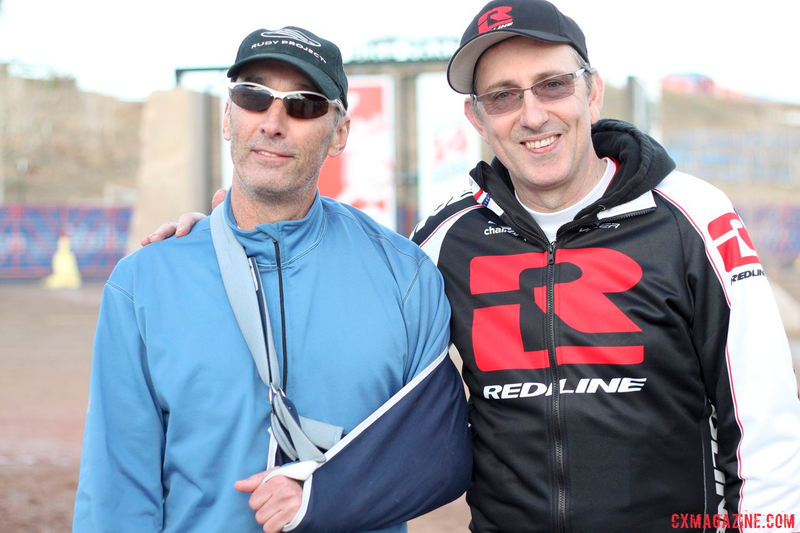 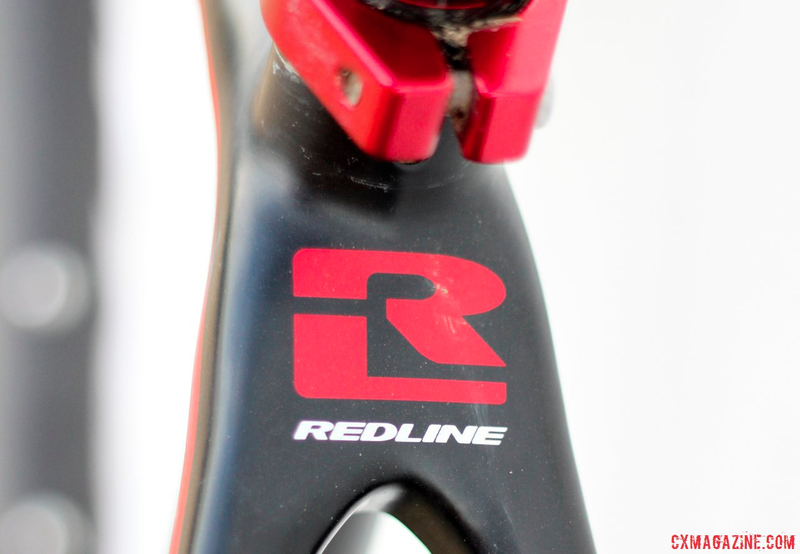 The Redline Conquest Team frame that Lindine rode to victory certainly had a lot of high-end stuff, but his bike was not an exercise in grabbing the best from just one brand or the latest top-of-the-line of everything. 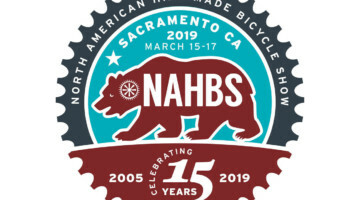 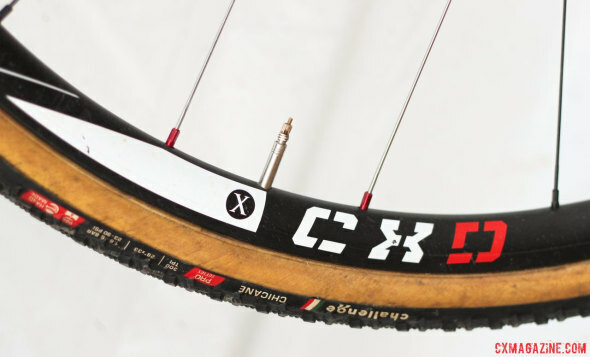 In fact, Lindine was one of the few Elite men contenders (and fast younger Masters) to race alloy rims (even Masters 35-39 second place NoTubes’ Jake Wells raced on tubeless carbon rims). 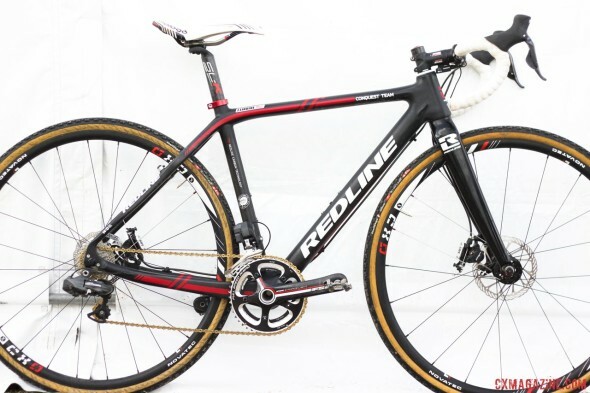 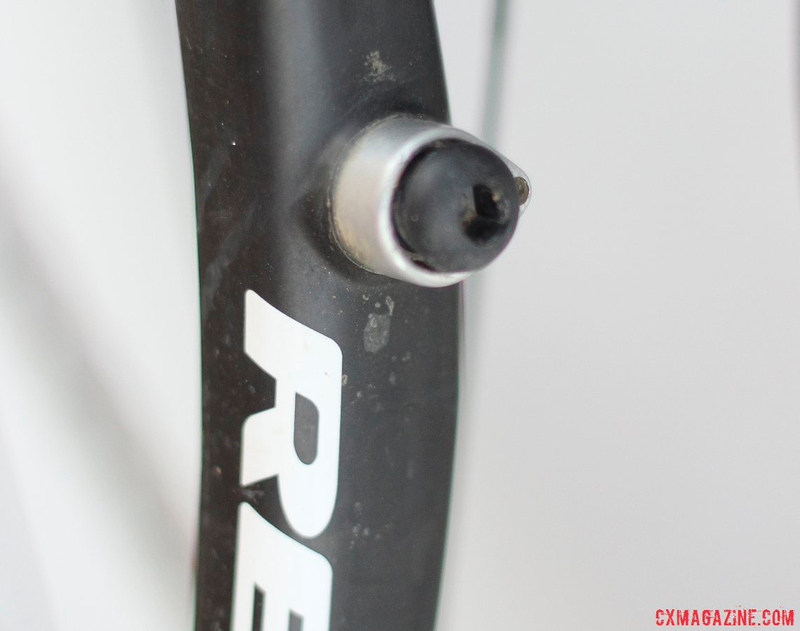 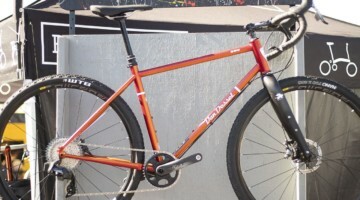 His Redline Conquest Team featured a mix of components from many brands, not unlike young Paul Haley’s winning Redline, including the cable-actuated hydraulic TRP HyRd disc brakes, Shimano Ultegra Di2 6770 10-speed electronic shifting, Novatec CXD alloy tubulars, and what was arguably the pièce de résistance on the bike, a gold KMC X10SL chain. The Novatec CXD tubular wheels are impressive in features in that they list at 1425g, which approaches carbon disc brake tubular weights at just $740, and have a freehub that is compatible with Shimano/SRAM and Campagnolo cassettes. 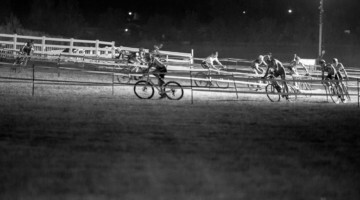 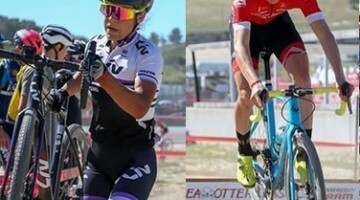 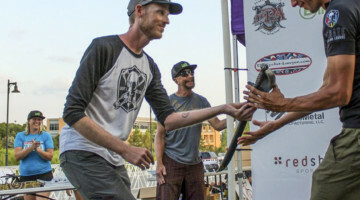 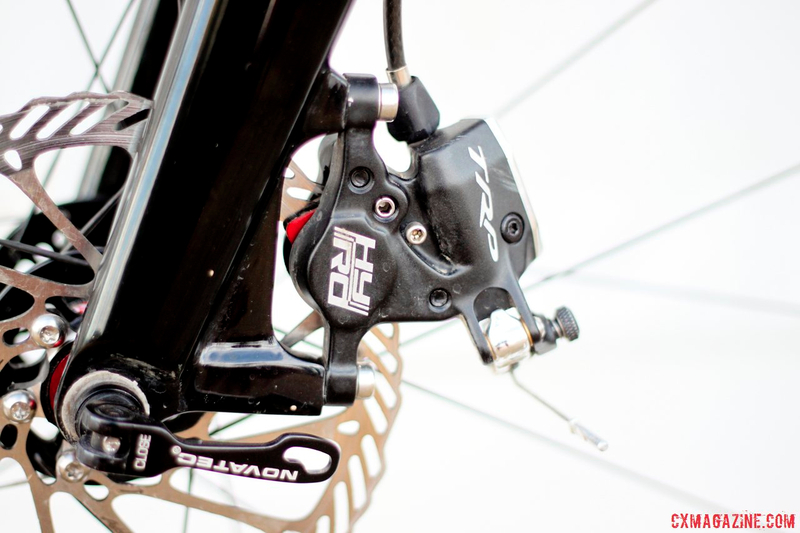 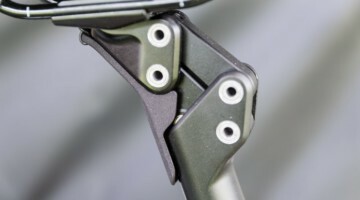 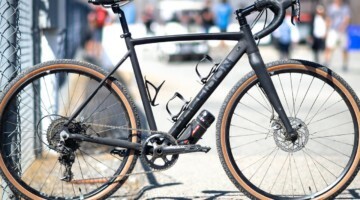 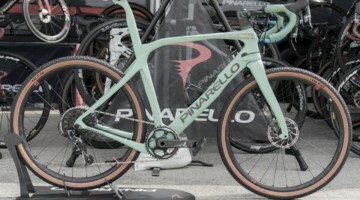 Lindine’s first race on Di2 was at the 2013 Raleigh Midsummer Nights race in Deer Valley, and there was a bit of a learning curve for the Utah-based racer, as a crash ended up pushing his STI lever in and disconnecting the Di2 wire (because there wasn’t any wire slack). 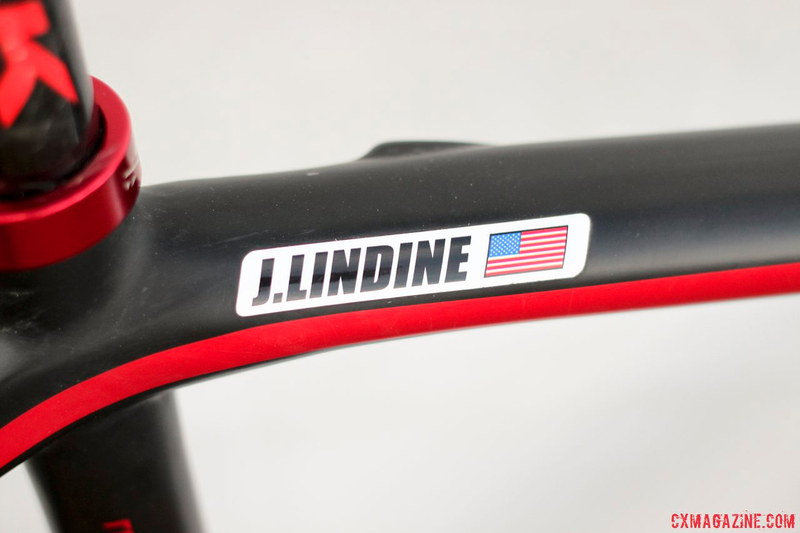 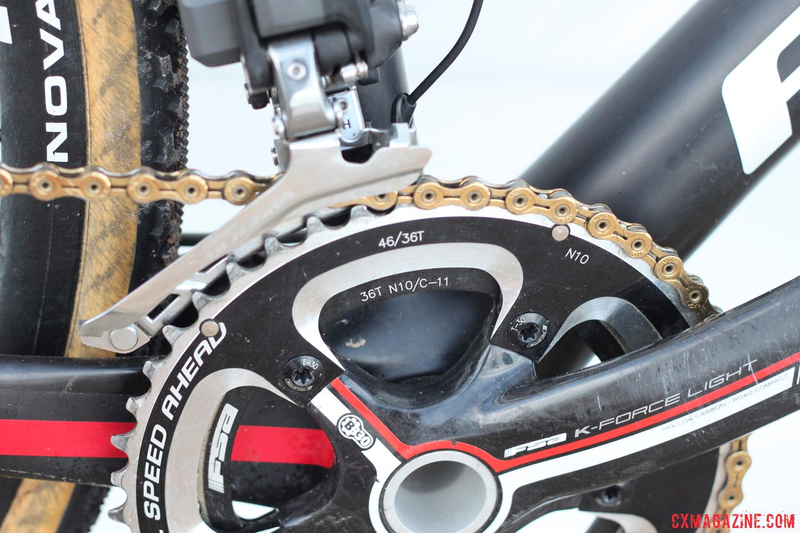 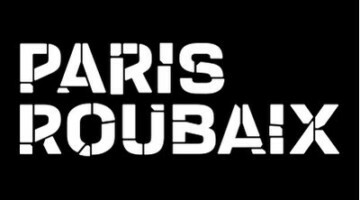 Lindine has now mastered the setup, and told Cyclocross Magazine he can’t live without Di2 now.